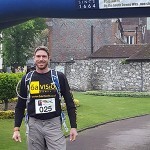 6a Vision Homes are proud to support a number of local charities and organisations. 6a Vision Homes are proud to support the Petersfield Rugby Club. They are a community rugby club for the town of Petersfield, running up to four adult sides, and junior sides from U7 to U19 with over 400 hundred members. Click here for more information. 6a Vision Homes were proud to support the Medstead Hopes & Dreams Ball again this year. The event took place on the 23rd September 2017, and was another fabulous success raising over £11,000 for the charity Dreams Come True which supports children with life-limiting conditions. Click here to read more about this fantastic charity event. 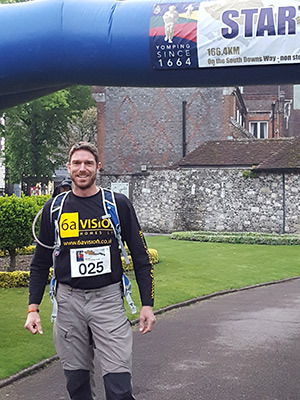 6a Vision Homes sponsored Matthew Marriott for the incredible feat of yomping 100 miles over the South Downs, amazingly he made it and raised over £5.5k for the Royal Marines Charity and the Rosemary Foundation in Petersfield (home hospice nursing for cancer). Well done Matt! 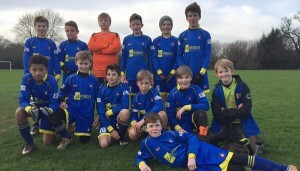 We are proud sponsors of Petersfield Town Junior Youth team who play in the North East Hants League in the premier division. Well done on being Runners Up – Premiership North East Hants Youth League! 6a Vision Homes were pleased to sponsor the Rogate Summer Fete 2015. The aim of the day was to raise much needed funds for the Village Hall which is a vital part of the Rogate community. A wonderful afternoon was had by more than 800 people raising more than £5,000 for the Village Hall and Recreation ground.